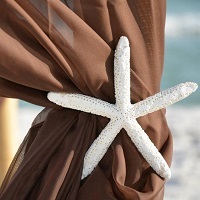 Add Four Sea Star Tie Backs to your Arbor Rental. *This selection includes Sea Stars only. Bamboo Arbor and additional décor pictured must be requested separately.